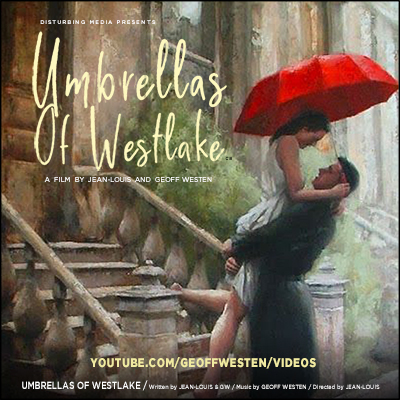 To the refrain of "Umbrellas of Westlake" from Westen's Digital Activity CD, ACTIVATE, Joe travels to Paris, lost in memories of decades past. He searches out the girl who saved his life near the end of the war, and with whom he fell in love so long ago. Relying on memory, he sets off to find her. His heart begins pounding as he walks up her street and knocks at her door. In his mind he sees that beautiful girl that he left behind. But as the door opens and he raises his eyes, reality returns and he quickly sees her as she is today.